The challenge for HR is not to carve a path for potential high achievers, but to show them how to create it for themselves. HR is in the business of identifying people who show potential to do great things and become great leaders. 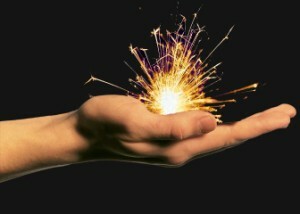 The real challenge for HR professionals, however, is not to carve a path for potential high achievers, but to show them how to unleash their inner spark for themselves. If you’ve ever met someone and instinctively known, ‘That person is going places!’ then you know what it is to meet someone who possesses that special something known as an “inner spark”. “When I was working in a corporate position for a large organisation, I would see that little spark every now and then – it’s that quality when you meet someone and you can practically smell the potential on them,” said HR professional Sarah Derry, Principal of People Reaching Potential. For those working in HR, it’s obviously important to try and spot and nurture this type of talent. But it’s not incumbent on HR to make things happen for an employee, Derry said: rather, their role is to “help them realise their own potential”. “Your job in HR is obviously to look out for potential – to be the spotter of that potential, and to encourage it – and you also need to create an environment where leaders and managers know it’s okay to spot and nurture these talents,” she said. Employees want to be unique and they want to be dealt with personally, meaning HR should also aim to identify what is unique about individual employees, in an effort to help them develop their own self-awareness, Derry added. “They might not be aware of how powerful their particular strength might be, and if you can tell them, ‘I noticed you’re doing XYZ really well,’ that may serve to build their confidence – and then they’re really going to shine,” she said.